Each day at the Vegas Convention we are happy to have exclusive on stage talks from John Tenuto. You will enjoy these special events: make sure to check them out! Using various drafts of scripts from the University of Iowa's Nicholas Meyer Papers Collection, John Tenuto presents a look at "what could have been" for the characters and stories of Star Trek II, IV, and VI before the final versions of the scripts were realized on film. Did you know that Star Trek VI was to begin with a funny and touching vignette of Admiral Kirk visiting his retired crew? Or, that assassin Valeris was originally Saavik? Or, what about that rumored pregnancy of Saavik planned for Star Trek IV (it's all true!)? Have you ever wished you could learn what these kinds of alternate Star Trek moments would have been like? Now is your chance! This fun presentation will include behind the scene photos, along with the dialog and sequences of what would have appeared in the movies if not for budgetary or other story concerns. Appreciate these favorite Star Trek films as never before! Special thanks for writer/director Nicholas Meyer for his permission to share this information with fellow fans. 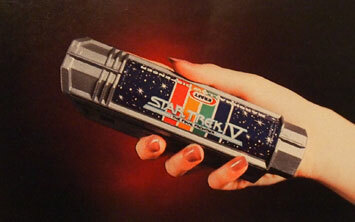 Before the Internet, the Official Star Trek Fan Club was the lifeline of information for fans through its publications, the Official Star Trek Magazine and the Star Trek Communicator. Former publisher and fan club president Dan Madsen has given sociology professor John Tenuto permission to cull the archives of these magazines to show some rare photos from the world of Star Trek. 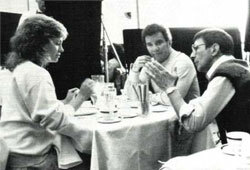 You'll see great images such as the only known photo of Gene Roddenberry and George Lucas together and many wonderful behind the scenes photos from the making of the Star Trek television shows and films. Also included are vintage merchandise ads and a history of how Dan Madsen created the fan club and magazine. 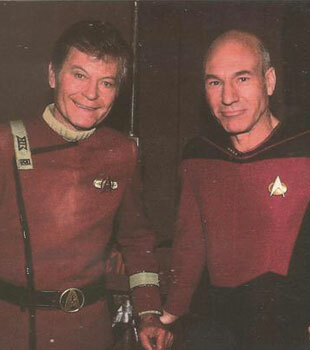 2012 is the 30th anniversary of the premiere Star Trek II: The Wrath of Khan. 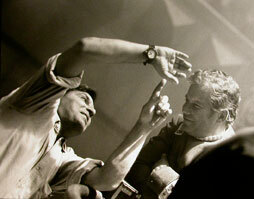 Please join John Tenuto as he shares almost 100 rare behind the scenes images from Star Trek II and Star Trek VI: The Undiscovered Country, including the only known pictures of William Shatner and Ricardo Montalban together on stage for cast/crew photos. Based on four years of research, the images are culled from the University of Iowa's Nicholas Meyer Paper Collection. The photos were donated to the University by alumnus Nicholas Meyer, the writer and director of Treks II and VI, and he has generously given permission to share these photos with the Las Vegas convention fans. The presentation will share behind the scene stories of the contributions of the artists who helped make these two of the most popular Trek films. 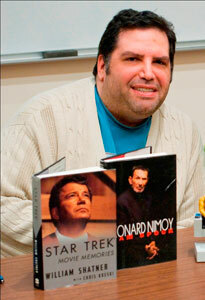 Join sociology professor and fellow Star Trek fan John Tenuto for a fun look at 45 years of Star Trek collectibles. Learn about the special place that Star Trek has in McDonald's Happy Meal history. Enjoy photos and stories of some of the strangest collectibles ever made, from Marshmellon dispensers to Spock liqueur decanters. Celebrate the fun of collecting with behind the scenes stories of the making of Star Trek's most popular toys and take a retro trip through categories of collecting such as food items, action figures, books, playsets, and video games. Both casual and serious collectors alike will enjoy the nostalgic and sociological discussion of Star Trek memorabilia from The Original Series, TNG, DS9, Enterprise, and the movies.